Place a large saucepan half-filled with water over high heat and bring to the boil. Place 4 of the pancakes in the base of a steamer, place on top of the saucepan, cover with a tight-fitting lid and steam for 30 seconds. Repeat with the remaining pancakes. 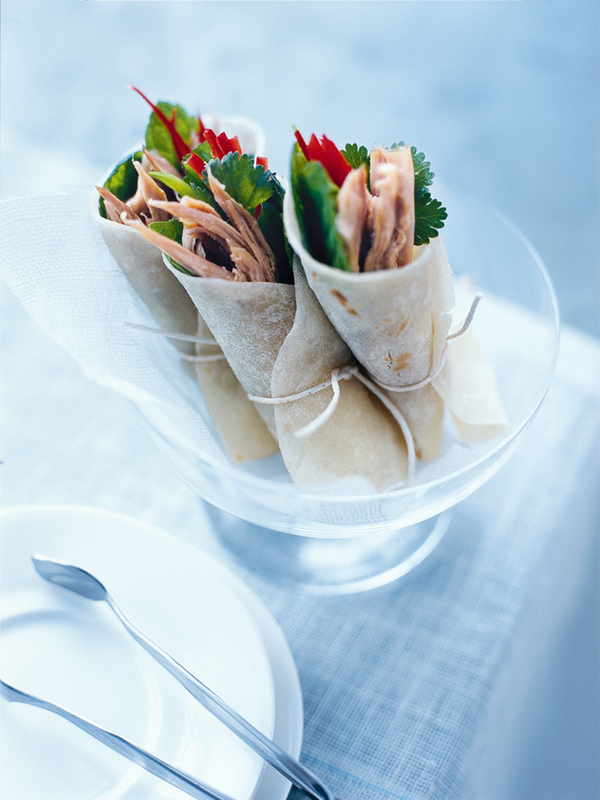 Spread pancakes with the char siu sauce and top with the duck, snow peas, chilli, mint and coriander. Roll up to enclose. Makes 12. + Chinese pancakes are available from the refrigerated section of Asian grocers. Char siu sauce is available from supermarkets and Asian grocers.